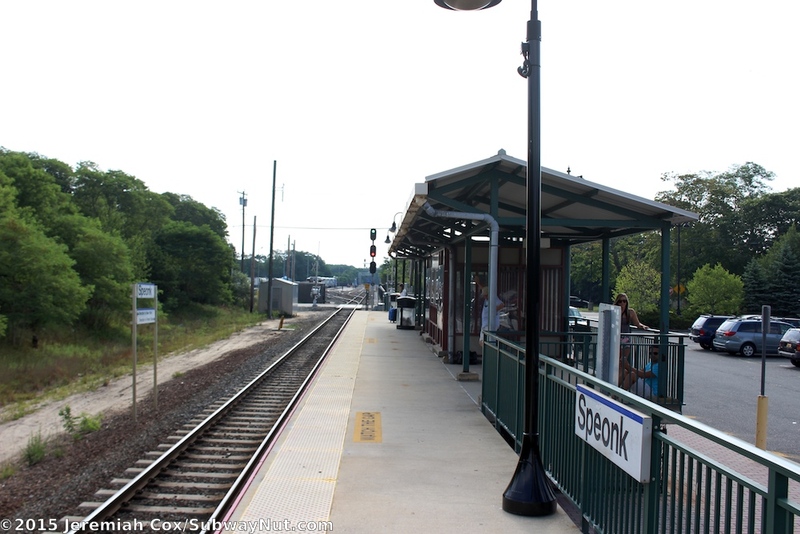 Speonk is the terminus of 'commuter' friendly service on the Montauk Branch. 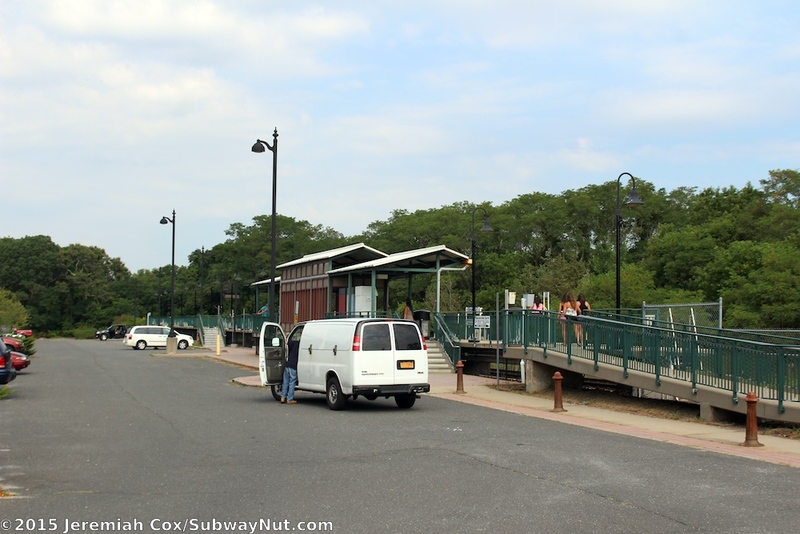 The frequency of service to the station is quite inconsistent and seems to be more tied to the put-ins and take-outs from the yard at the station than giving riders consistent service, (base hourly Scoot Service is provided between Patchogue and Babylon) for example on weekdays there is basically half-hourly or better inbound service between 4:37am and 7:31am (7 trains in total), with the next train not until 12:37pm, followed by trains at 2:00pm, 3:05pm and 4:14pm, a gap until 9:07pm and then 9:59pm and then two late night trains at 12:05am and 2:15am. 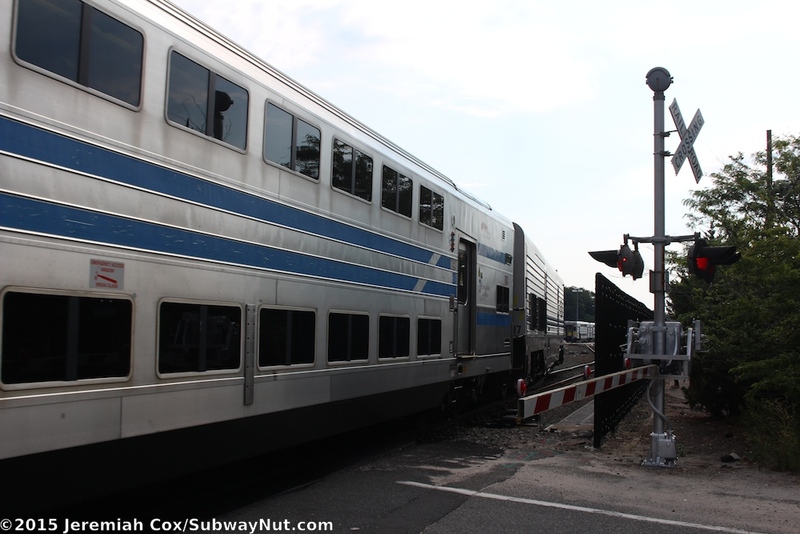 Two rush hour dual-mode round-trips per day provide a one-seat ride into Penn Station. 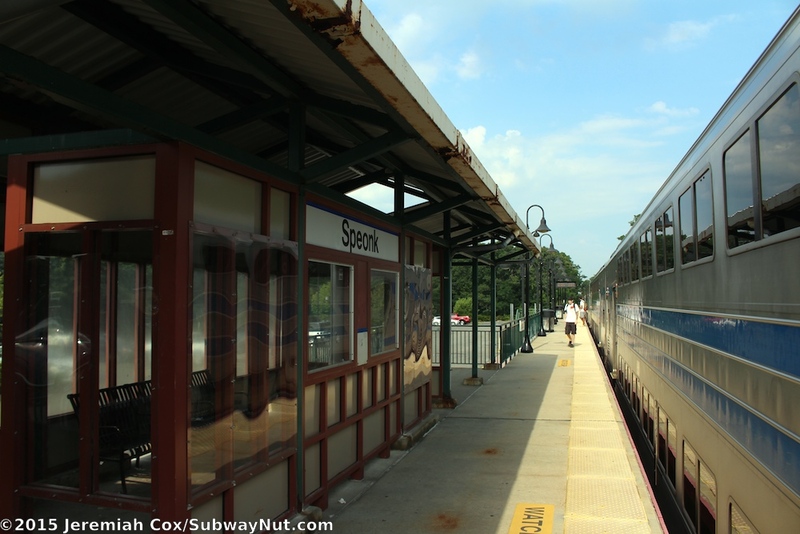 Service east beyond Speonk out to the Hamptons is abysmal with just 6 eastbound trains and 5 westbound trains (including a gap in service westbound between about 3:00pm and 11:00pm on weekdays, making a full day trip impossible) per day (weekends and weekdays). 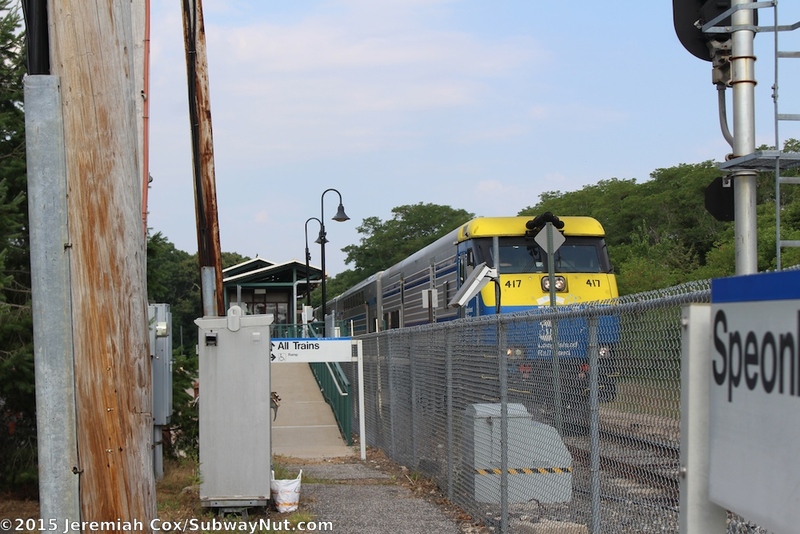 Service east of Speonk is drastically increased on Summer Fridays eastbound with 4 extra trips and Sundays westbound with 5 extra trips plus an additional trip Monday morning. 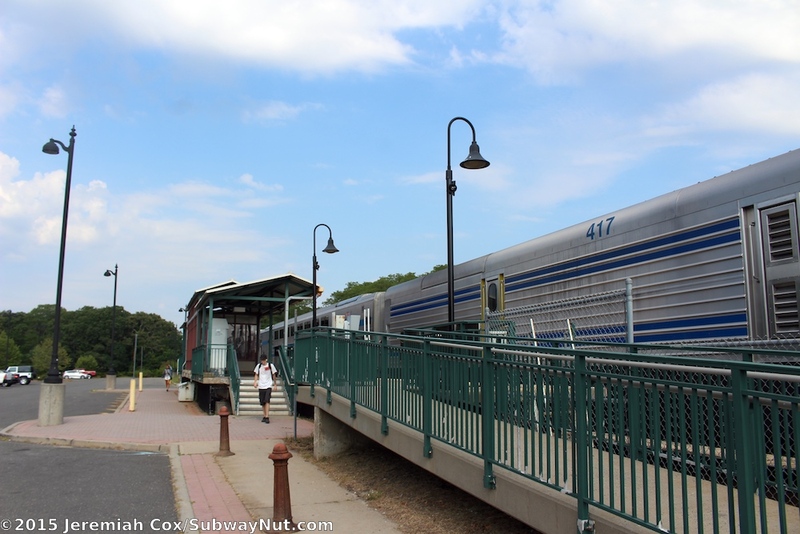 Most of these seasonal extra trains also serve Speonk. 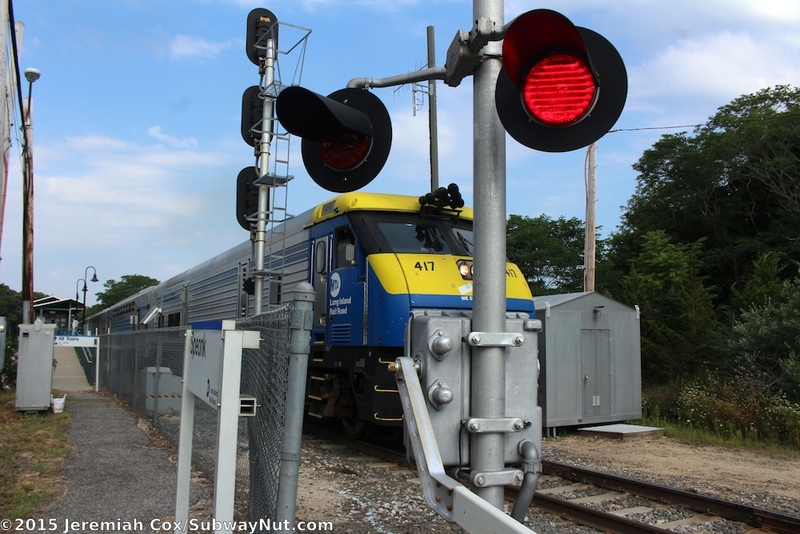 Just east of the station (in the Speonk Yard) ATC ends and Manual Block signaling (dark territory) exists the rest of the way to Montauk. 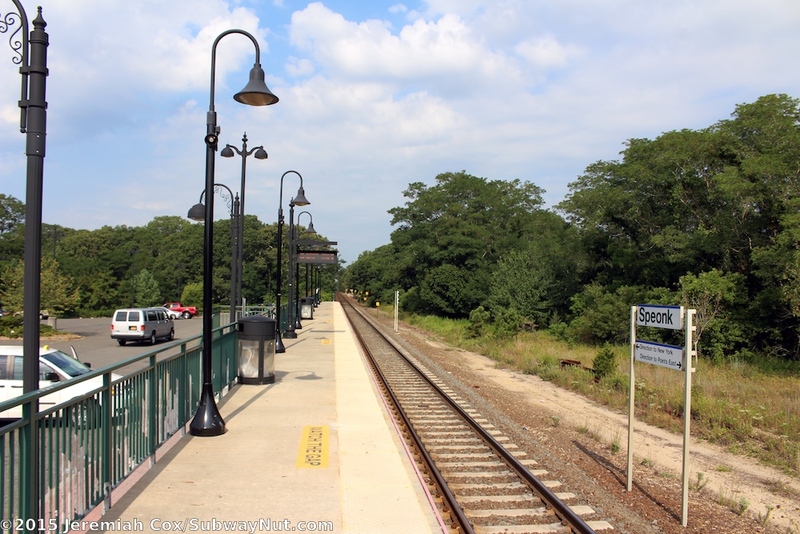 The station itself consists of a modern 4-car long high-level platform built between 1996 and 1997 that relocated the train stop across North Philips Avenue. 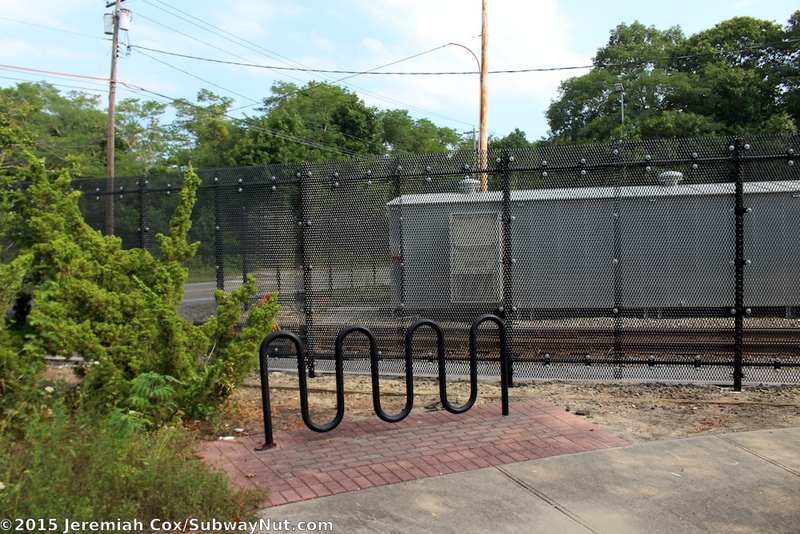 This platform is on the south side of the single-track line and is just west of the North Philips Avenue grade crossing. 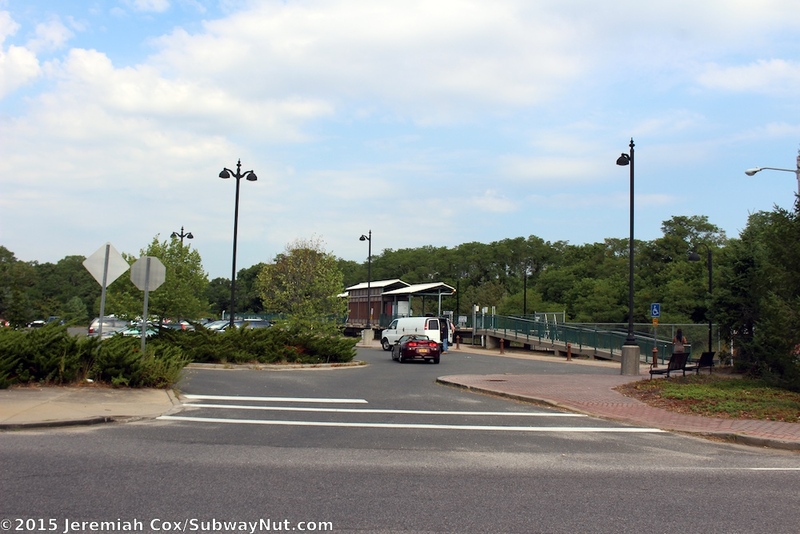 The relocation also built a new LIRR owned parking lot with the majority of the 331 parking spaces the station has today (that could use a paint job on the lines). 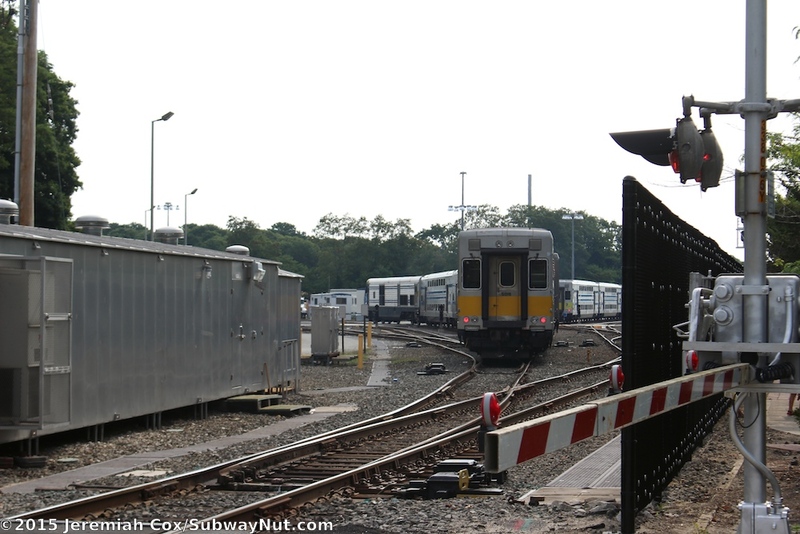 The platform begins with a long ramp followed by a simple shelter structure with a green and cream windscreened shelter beneath a canopy structure that extends a bit on each side of the sheltered area and covering the platform. 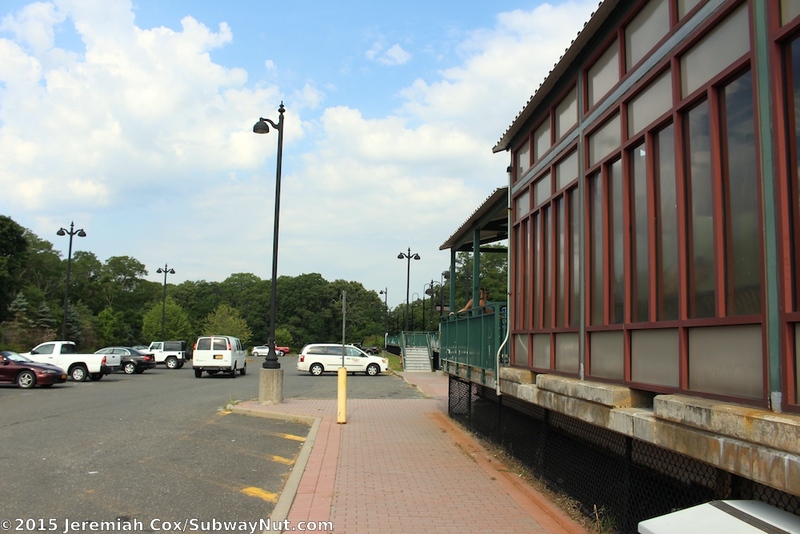 Beneath the waiting area is the main drop-off area with wider sidewalks and a standing only lane, plus sets of staircases and either side of the shelter. 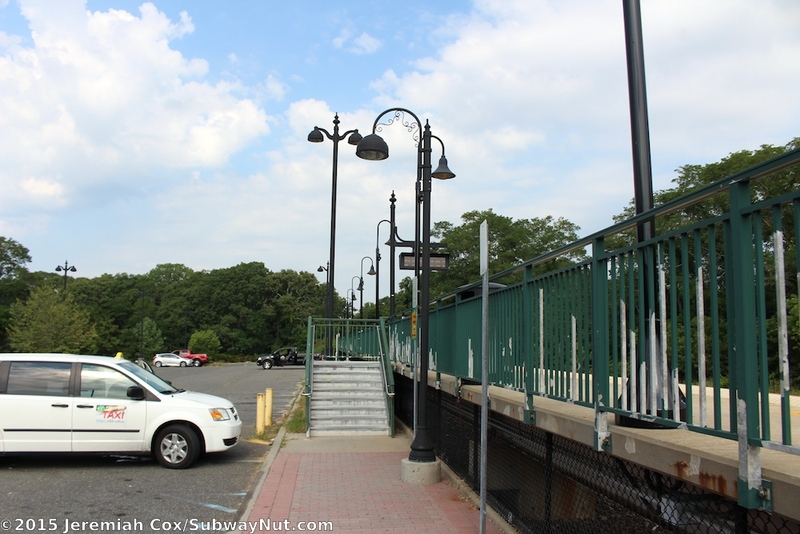 A final staircase down to the parking lot is at the extreme western end of the platform. 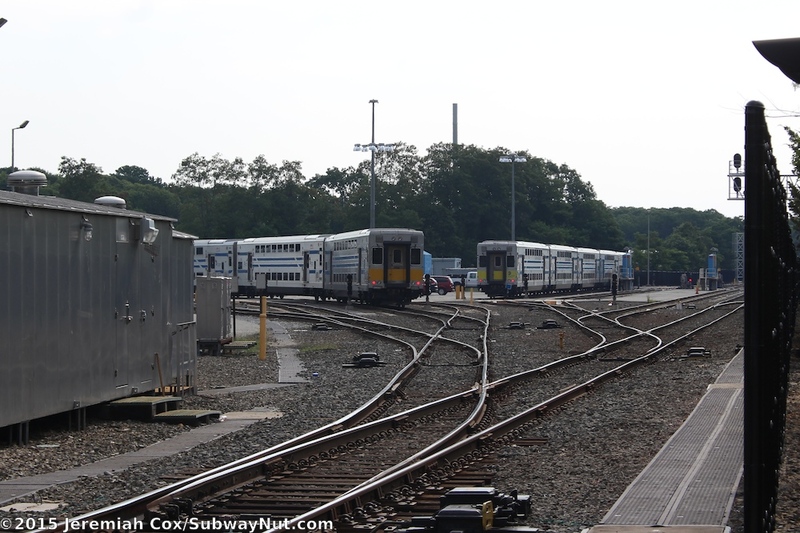 Across North Phillips Avenue from today's station is the Speonk Yard; the yard can store approximately 7 trains with tracks 1 to 3 along the Main Line tracks and tracks 4 to 7 curving north from the station forming the wye track that is in the middle of the train yard. Tracks 4 to 7 are impossible to see except from passing trains. 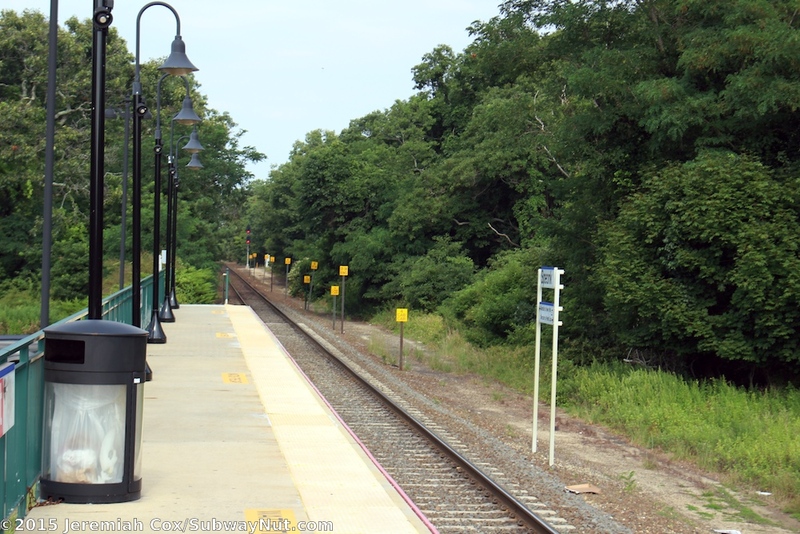 Trains on Tracks 1 to 3 are visible by looking down the grade-crossing. 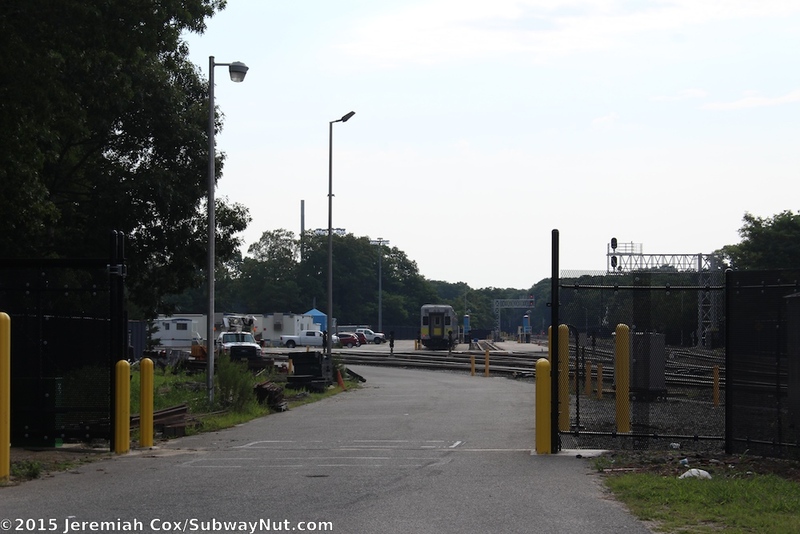 The original low-level platform was along the southern side of this yard, just east of North Phillips Avenue; today there is an extremely high fence along the historic 1901 station house. 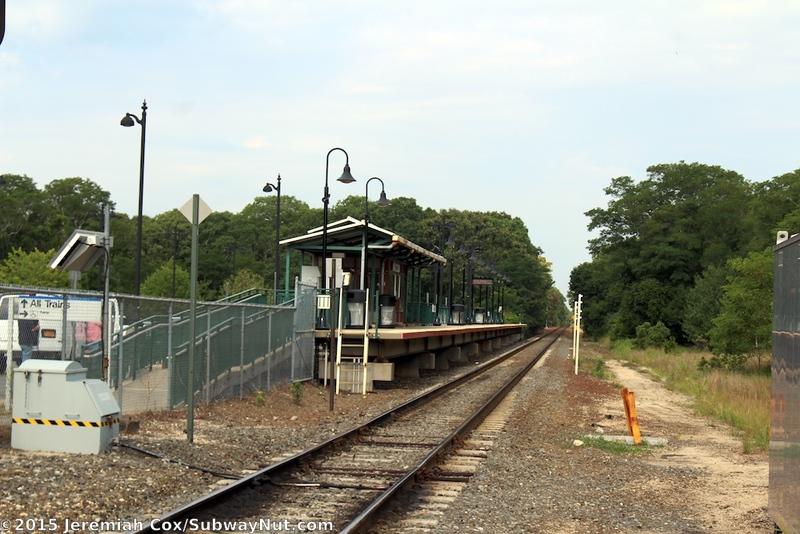 The station stopped being manned by the railroad in 1958. 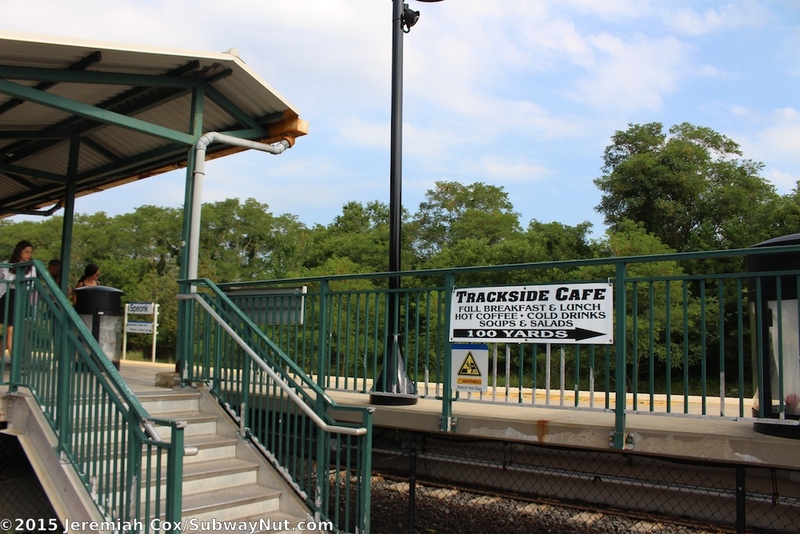 Today the building contains the Trackside Cafe, open during breakfast and lunch hours. 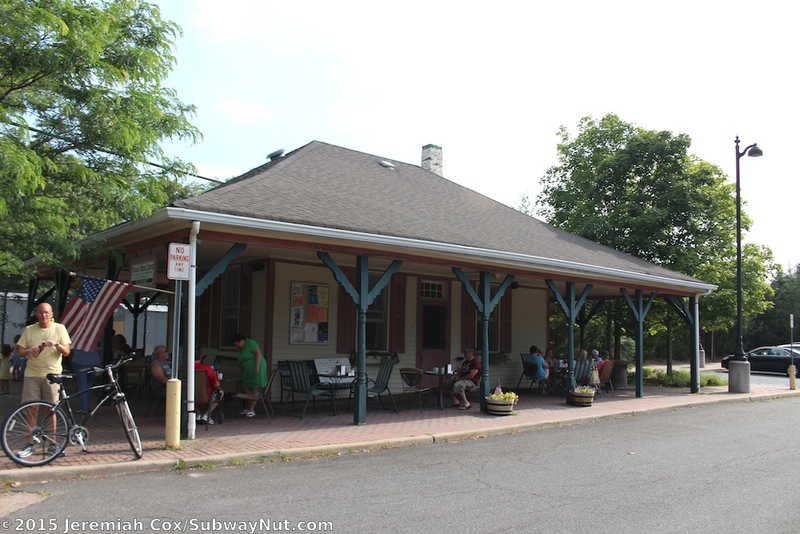 It is a single story building with the high gabled roof extending outwards forming wide porches on all four sides (used by the cafe with tables for outdoor seating). A maroon with yellow text Speonk sign hangs from the rafters. Pink paving stones surround the station (and were perhaps the surface of the former platform). Finally just west of the stationhouse is a unique blue information column, MTA Long Island Railroad is pained in gold on the bottom and says Speonk above the information panels that contain Metro-North schedules. 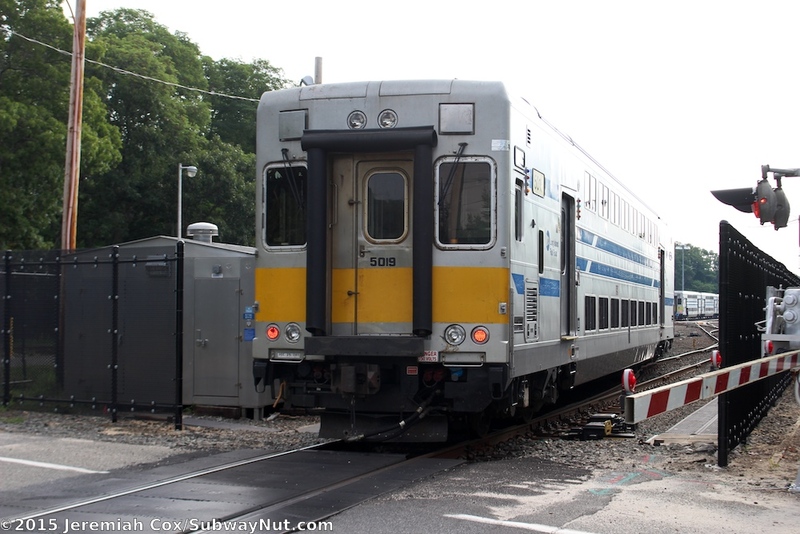 The historic Depot is along Depot Road that provides additional station parking. All parking at this station is free.